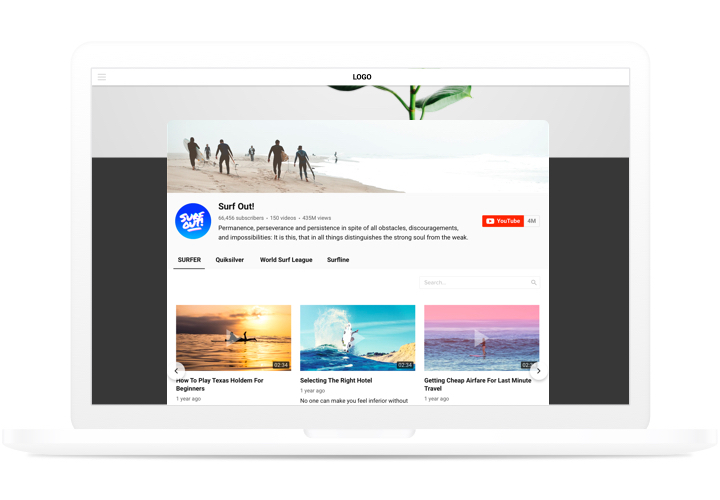 A strong module for YouTube, which enables you to display diverse videos on your website. Find the suitable channels and individual video clips to create your own playlist and demonstrate it directly on the web page using the most suitable layout (video gallery, portfolio, channel, single video). 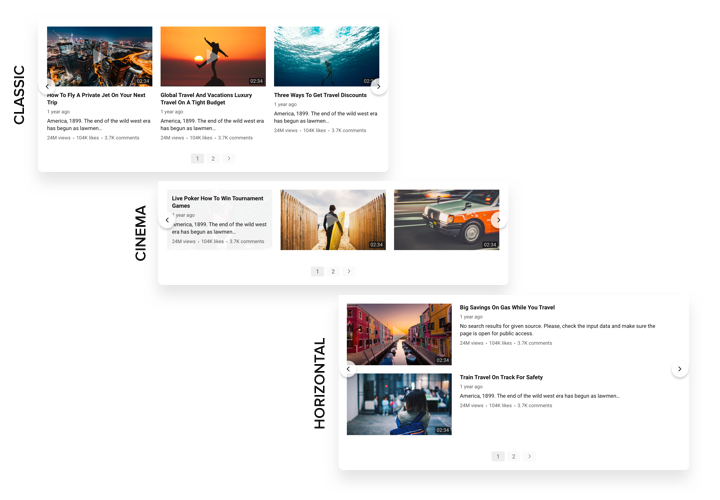 Our module is fully responsive to all formats and browsers; it has around 100 parameters, customizable template and many different advantages, which help to add it on diverse websites.Shape a unique interactive video gallery for stronger attraction with your users. 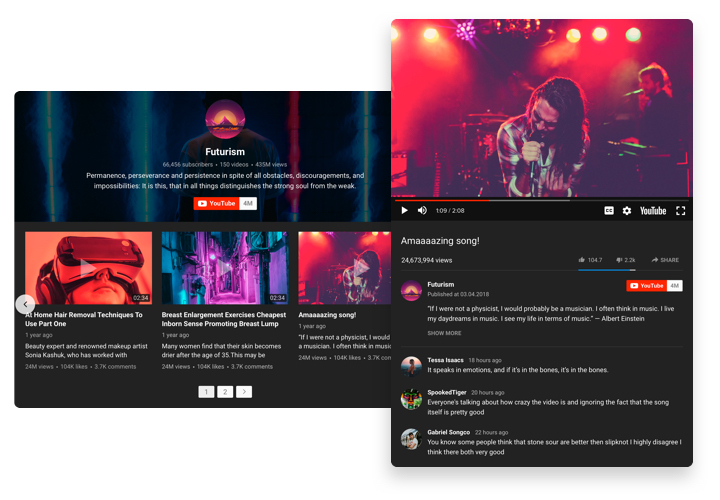 Strengthen connections with the audience of your site supported by YouTube videos. Amaze your website readers with striking video content from YouTube and hold them involved better than ever. Have maximum orders with YouTube content. Demonstrate commercial videos, testimonials, overviews, instructions and other videos to provide your audience with detailed info about your offers and convince them to perform a transaction. Target fans for your YouTube channel. 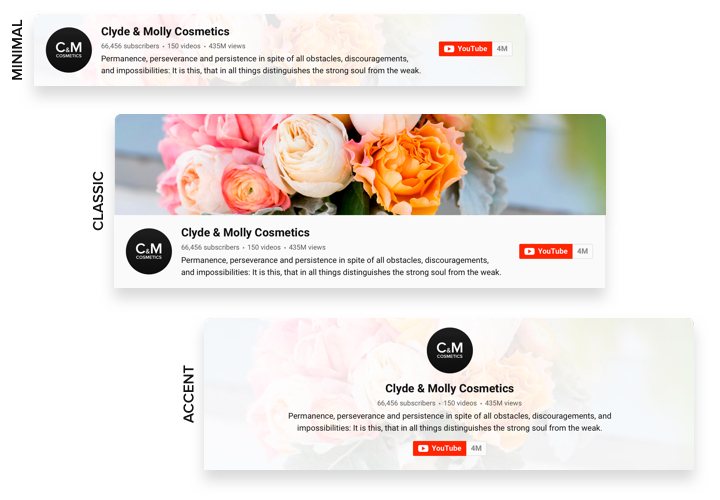 Transform website clients into your followers on YouTube. 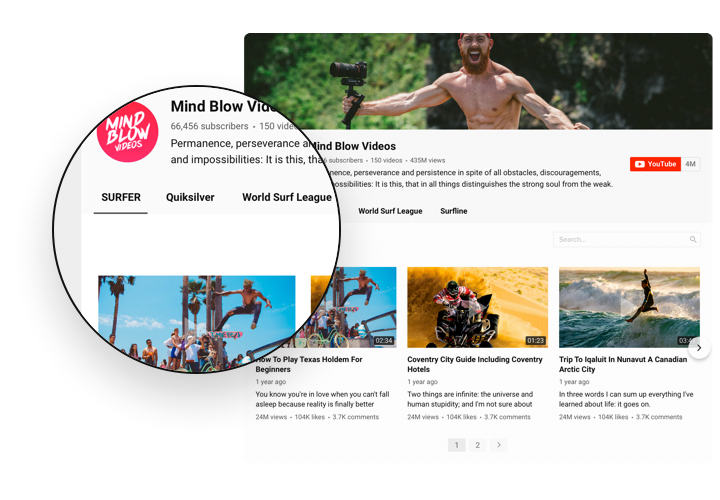 Add a quick and uncomplicated tool for users to watch videos and subscribe directly from the page of your site. The traits of this module, which transform it into the best instrument to show YouTube videos on a Drupal website. A quick tutorial by our team on installation and shaping without skills in programming. Usual installation duration is not more 2 minutes. Download the module and install it to the site. On YouTube module, choose attached document with the module and add it to your Drupal website on «Extend» tab. Design YouTube Video Gallery. Open the received module and choose the desired settings and functions. Place the module on your webpage. On «Content» tab, open the page for widget installation and paste there the widget code. Save the changes. Widget installation is complete!. Enter your website, to see your YouTube Video Gallery! Found it hard to set up or change the parameters of YouTube Gallery? Send a message message to support team with an extended description of the problem. We will be happy to answers your questions from 10 a.m. To 7 p.m. CET, Monday to Friday. Design your perfect Drupal YouTube module in only 2 minutes!